What should you do when the slider design and found that the angular slider too long? 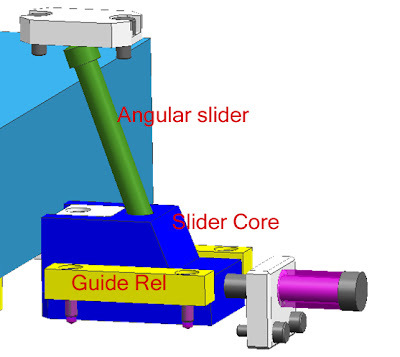 There are many ways to change the design so that the angular length of the slider pins are still reasonable when compared to its diameter.in design between the angular diameter and length of the slider pins should be noted, the length of angular slider pins that are too long can lead to easily broken when the mass production run, especially if the small angular diameter, the way the installation is also a concern to be easy in the process of repair when damage occurs. the above picture, I took when designing the angular pin slider, when the client wants the angular pin slider must exist, and based on the calculation of stroke, it turns out the angular pin length is too long, surely this is dangerous and i should change the design concept. 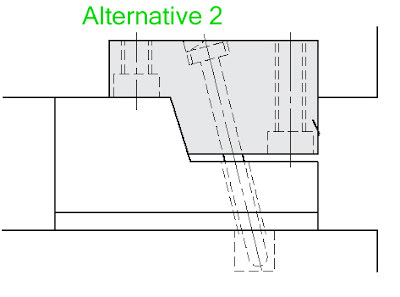 on the design concept above, I only use one bolt to tighten to the cavity plate, simple but I'm sure I could save the angular length of approximately half of the angular slider before. 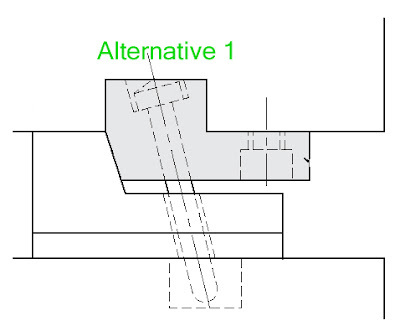 The above concept also facilitates the repair process. 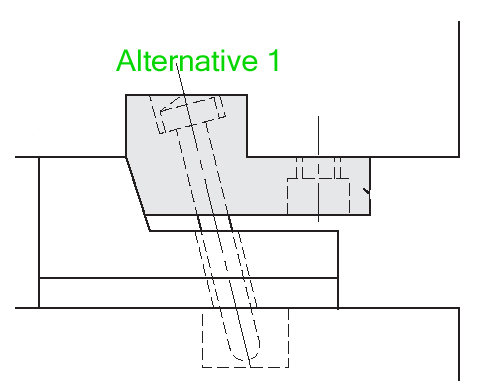 The second alternative was similar, but the difference is the number of bolts are used and how big a part of the locking block affixed to the cavity plate, the first altenative collar only are plugged into the cavity plate, and the bolts, of course, only part that holds the slider in the section just the collar. 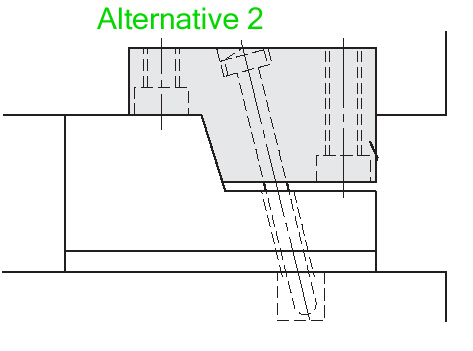 A second alternative is different from all bagianya embedded in the plate cavity. 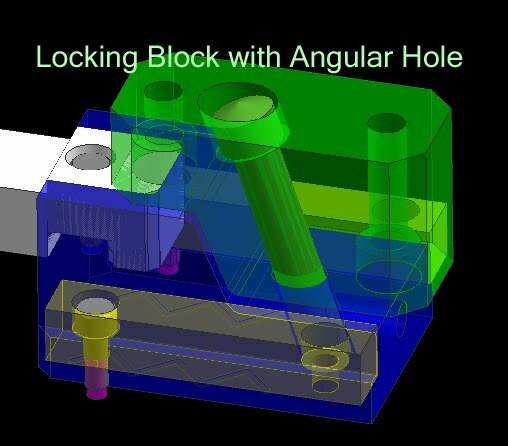 I chose the second alternative concept, the concept was made 3D and 2D drafting calculations based on a stroke, for details, under the following 3D image is the result of the 3D design of the second alternative.